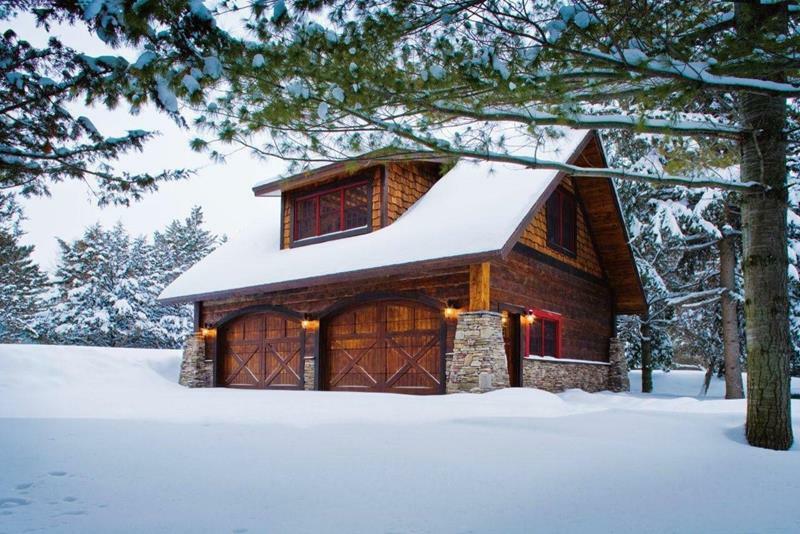 Garage doors are so much more than doors. They are part of the exterior of you home, becoming a part of the overall design. 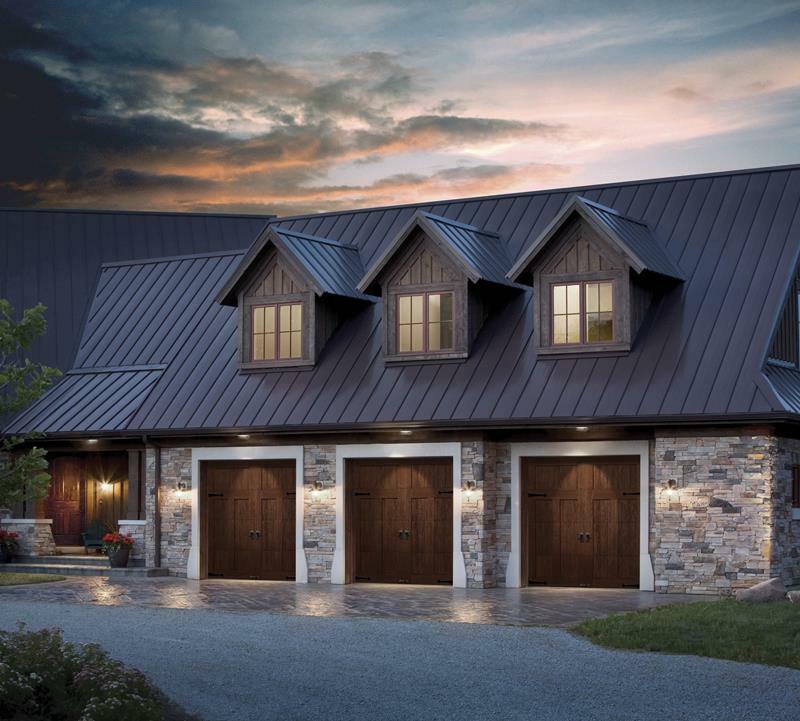 You don’t want to have a beautifully designed home be ruined because you didn’t take the time to ensure your garage doors would look great as well. 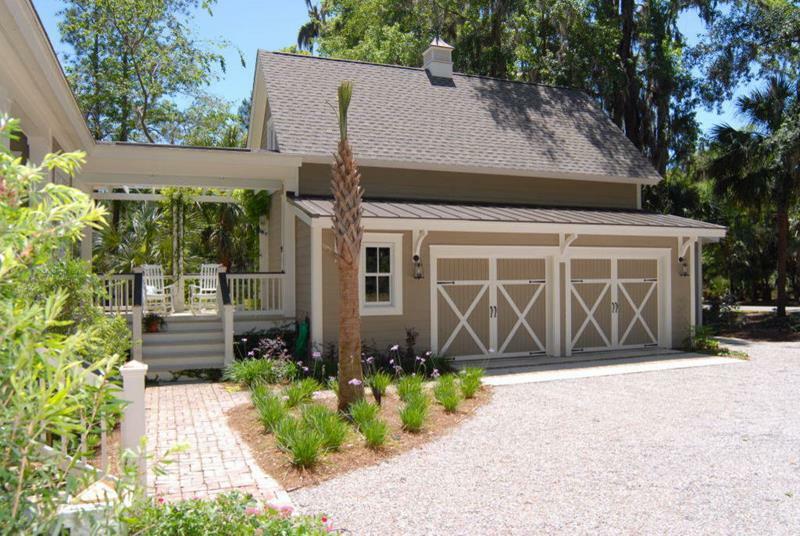 There are many different styles and designs for garage doors. First, you have to take into account what kind of building the garage is overall. Sometimes it is part of the home and sometimes it is a detached space. Often, garages take on a personality of their own. 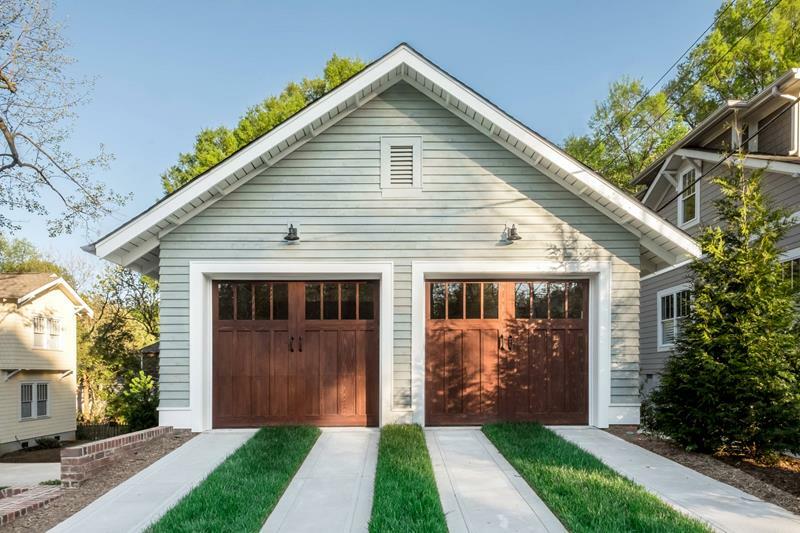 The garage doors should be a reflection of that overall design personality. 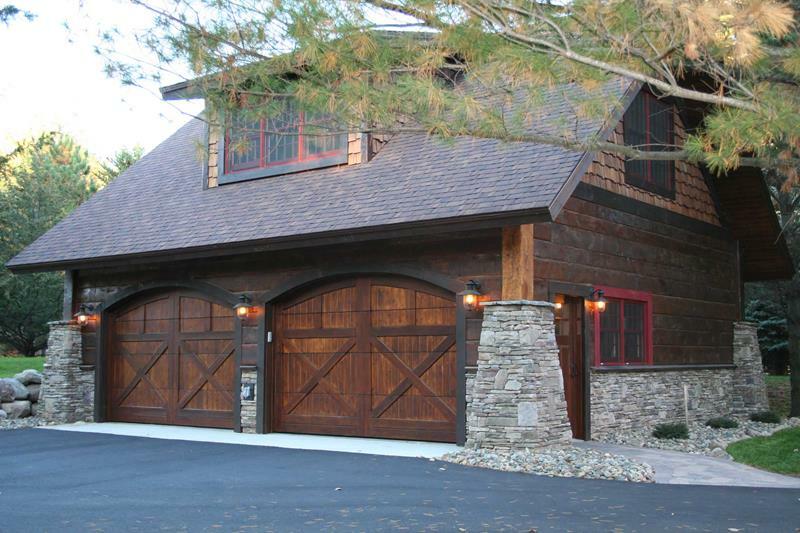 Below, we’ve put together a gallery of more than 30 garage doors that will show you a range of possibilities. You’ll quickly find that you have many options and we think you’ll have a good idea of how you want your own garage doors to look. 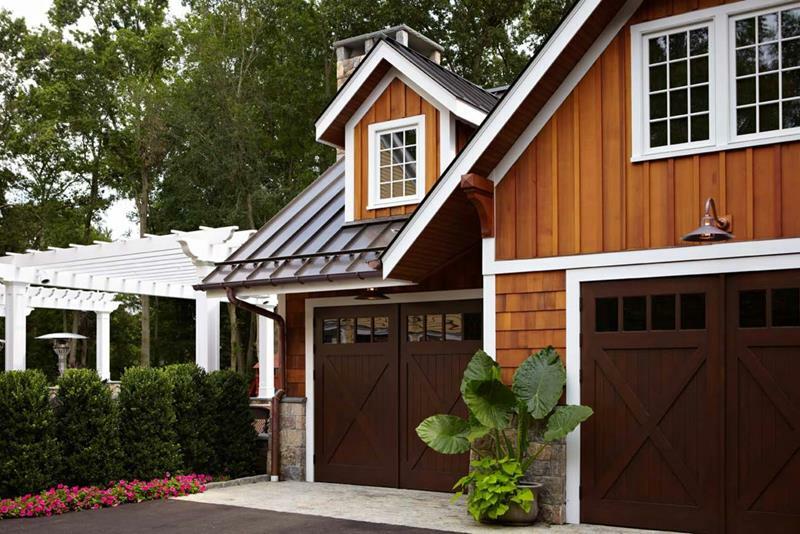 With beauty and durability, these hardwood garage doors will stand the test of time. We live their classic rugged look and how well it blends with the brick. Photo by Case Design/Remodeling, Inc. 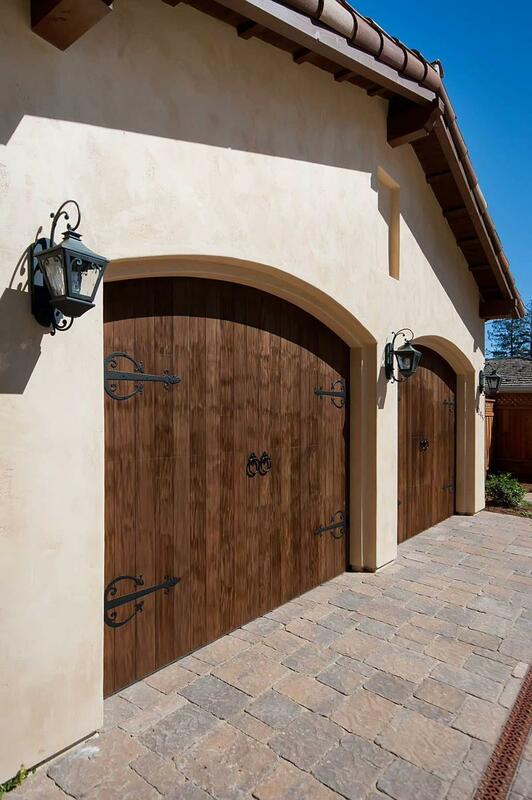 This garage space has offset doors and a beautiful design. Independent of the house, this space this area has a style of its own, with a beautiful stone lower portion. 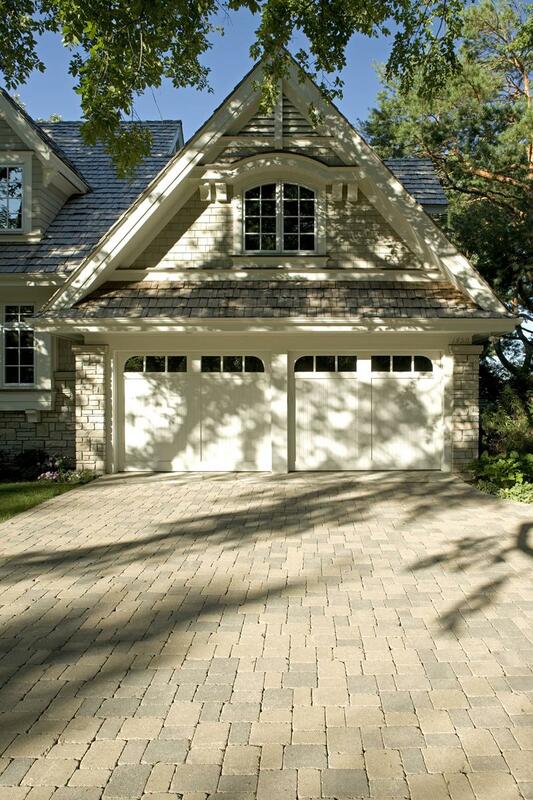 With a beautiful stacked stone front, the hardwood garage doors are a perfect match for this garage space. 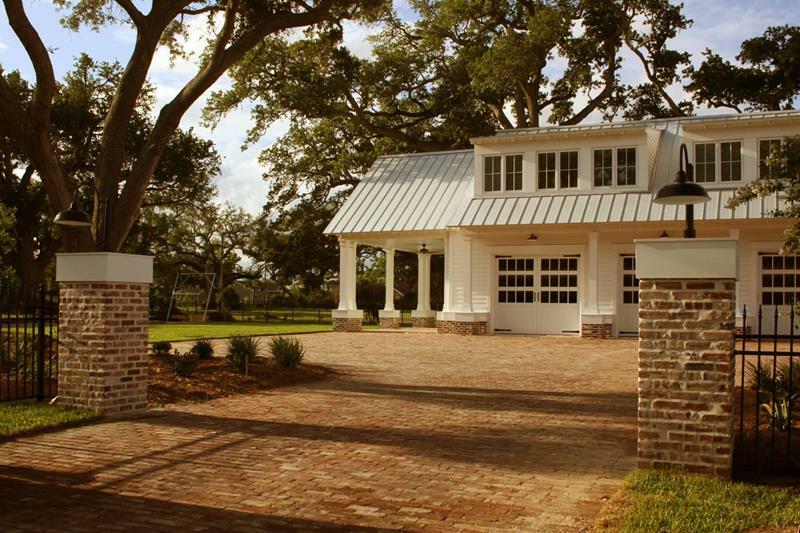 We love how the driveway and structure match. 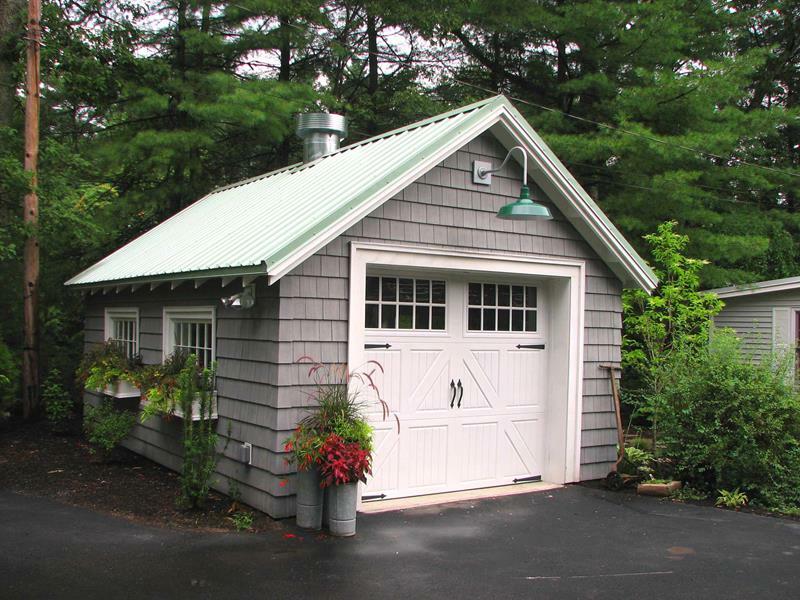 The overall style of this garage is one of a cabin and it works well. 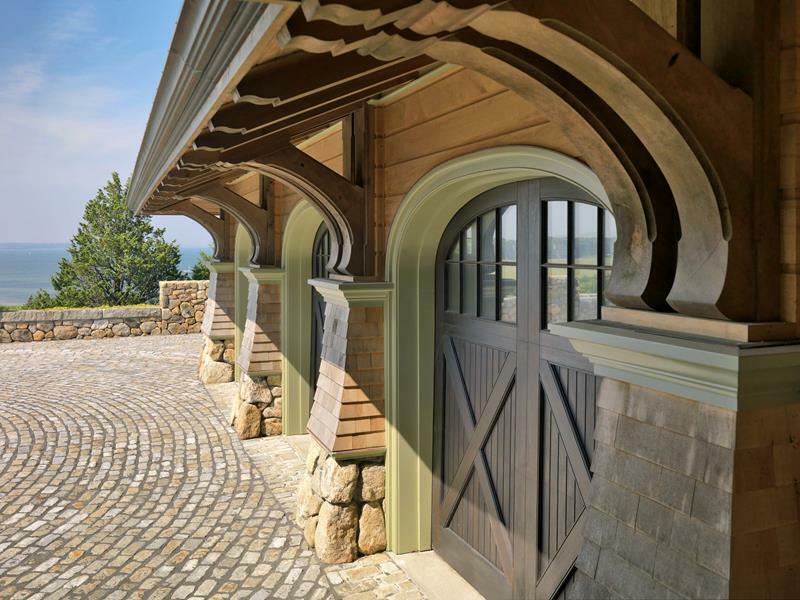 With beautiful barn style doors, the stone columns give it character. Three traditional doors give you plenty of options. This space is simple and minimal. 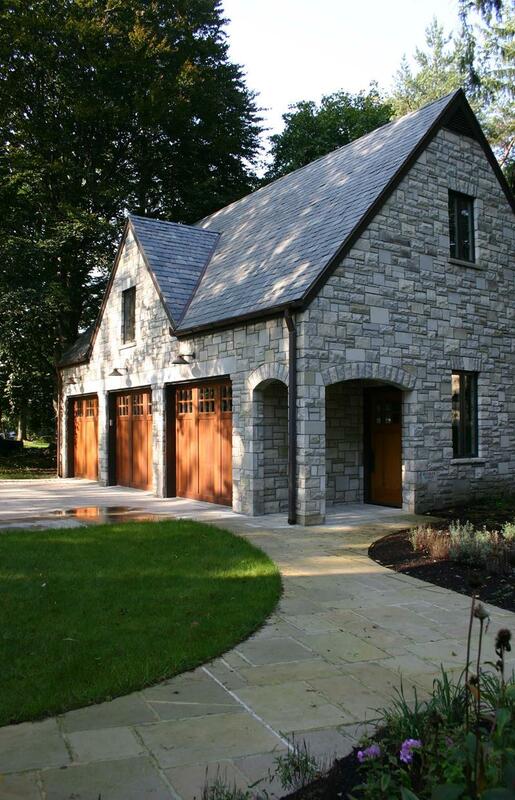 These light garage doors perfectly match the stone surrounding. 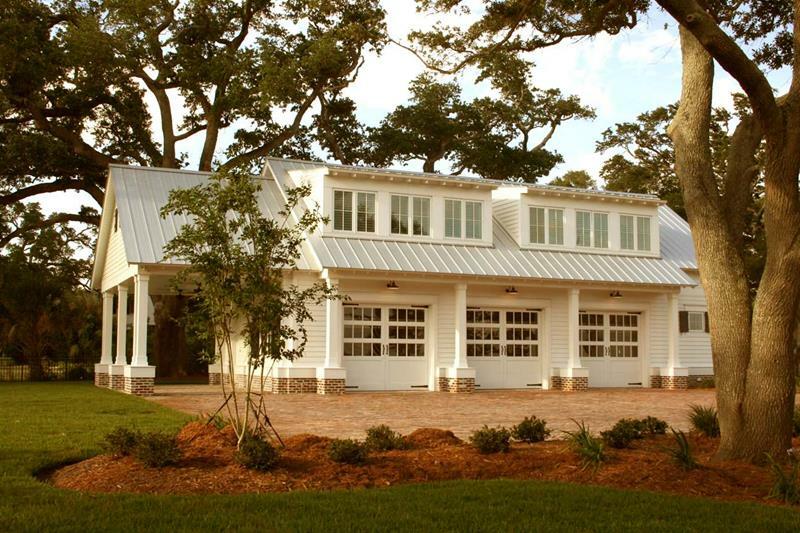 We love how this garage blends seamlessly with the home. 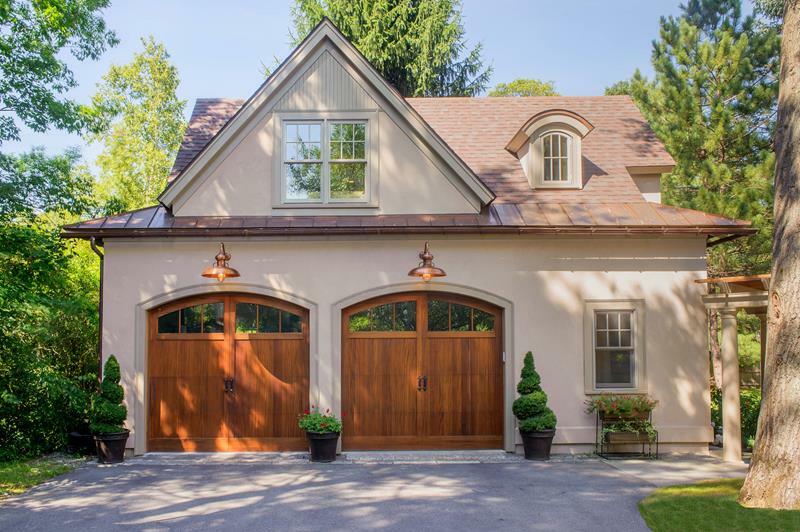 These garage doors are stylish, reminding us of a European country villa. With the beautiful design and architecture, the plant life is an added bonus. This kind of style, with arched entryways and hardwood doors, really makes us think of a European design. 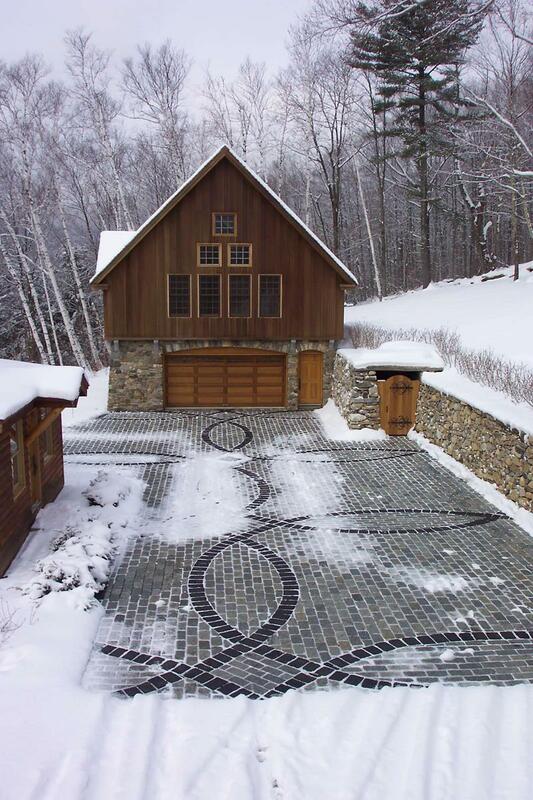 It is simply beautiful, with a wonderful stone driveway. These doors take a darker hardwood, match it with the window above, and make a wonderful contrast with the rest of the space. Three arched entryways with beautiful hardwood doors. A wonderful stone surrounding. This is a beautiful country style that you will love. 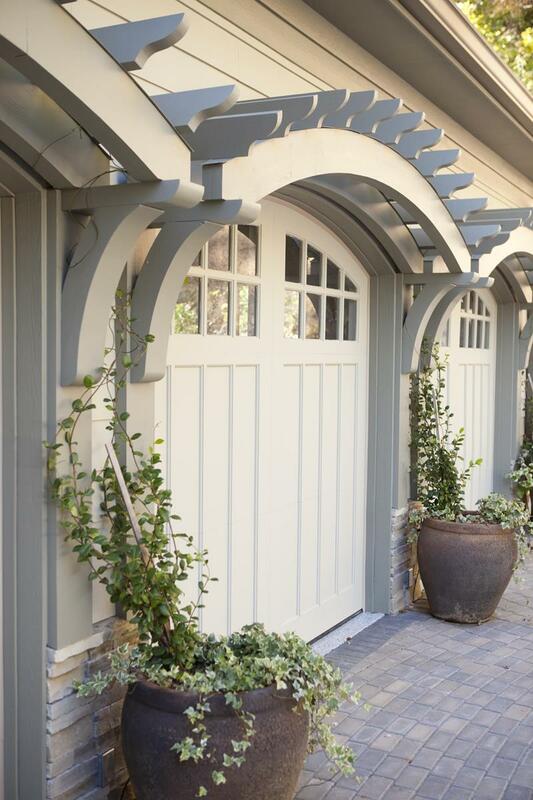 There is something about arched garage doors that we love. It gives a great country quality to the space. These hardwood doors are a great match to the surrounding color scheme. This garage gives you an open sense of style, a warm welcome. That’s because of the abundance of windows. The doors will let the natural light shine in. You can’t beat a classic garage style like this. A traditional white door that matches the house well is a great design. 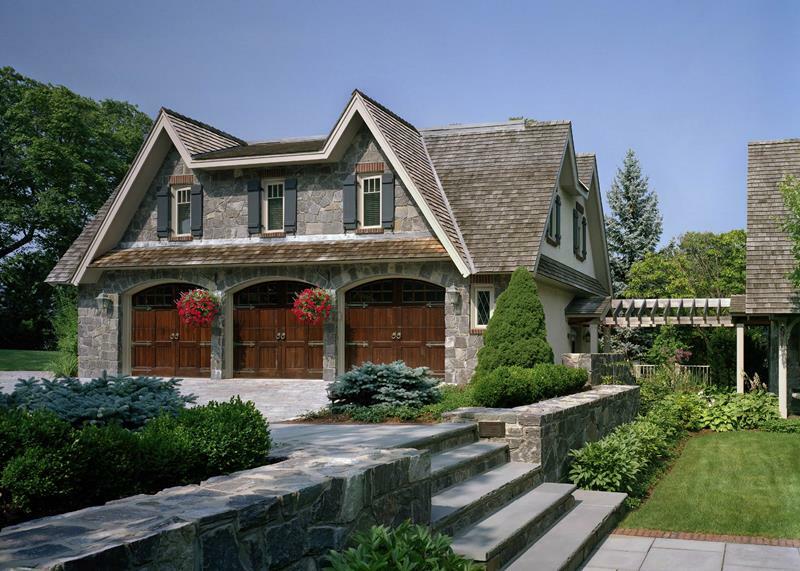 When you have a stone building like this, going with hardwood doors is the sensible and beautiful option. We love these triple doors and how great they match the whole area. Photo by Cole Design Studio, Inc. This separate garage area has a great country design. We love the white cross beams and how well they highlight the whole space. 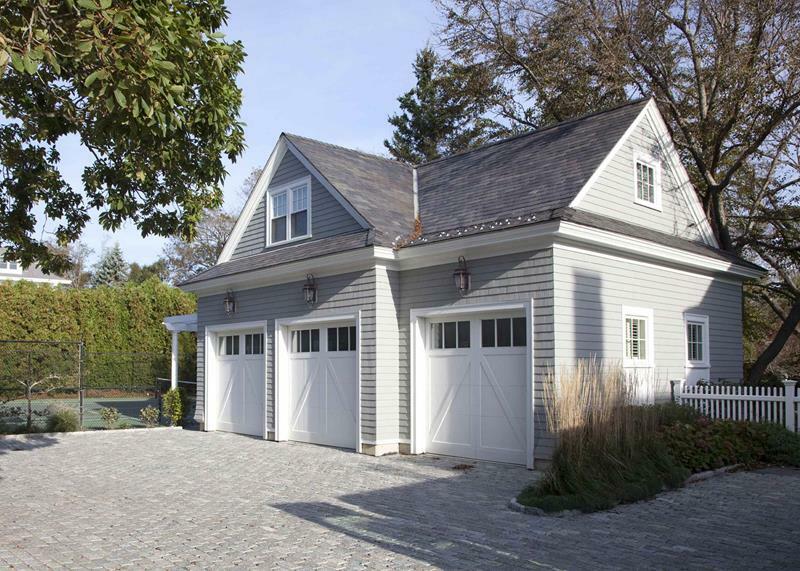 This garage space has three doors and they all blend well with the gray color scheme. This is a simple space, which often works best for the overall design. This is a charming little garage that has a wonderful country design. 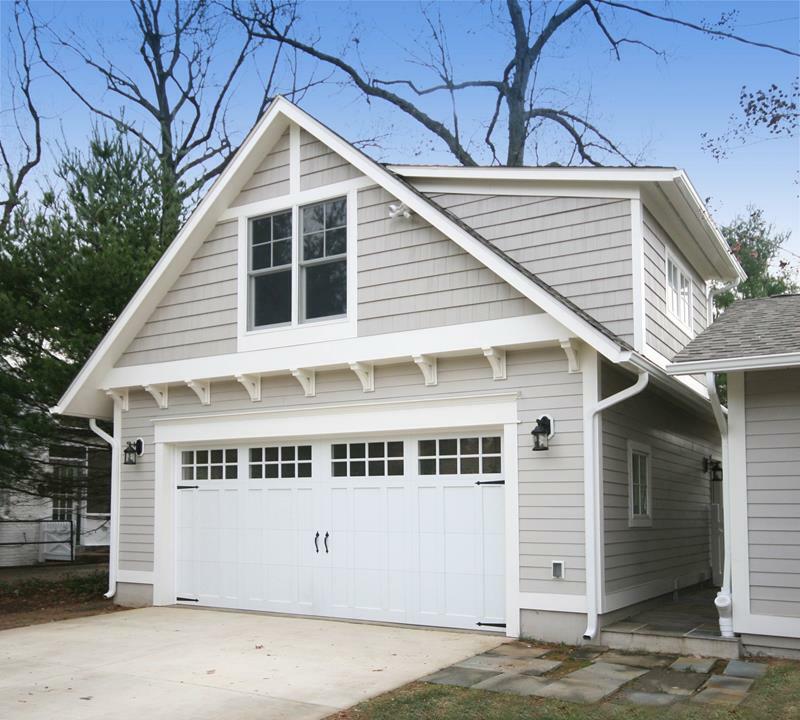 We love the simple siding and white matching door. This could make a great work space. These large arched hardwood doors give the whole area a bold style. We love the matching stacked stone all around. It gives this area a mountain sense of style. 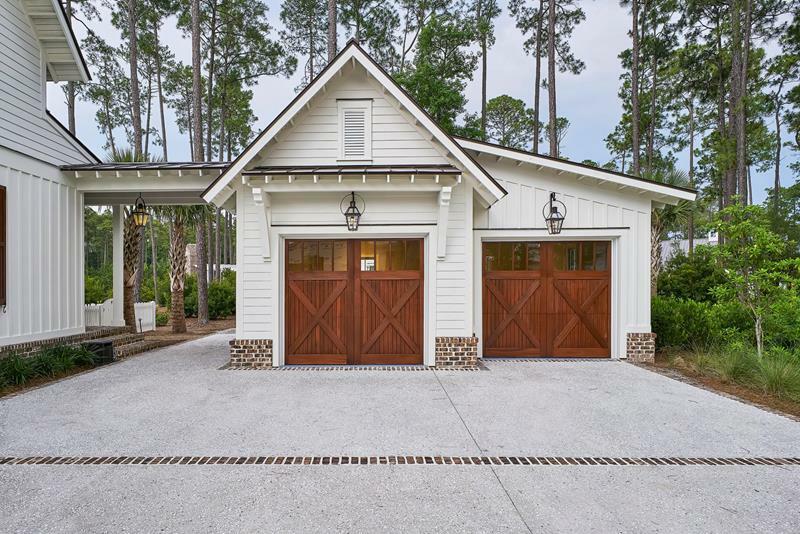 This handsome garage area take a stylish approach, with wonderful hardwood doors that feature a great crossbeam design. 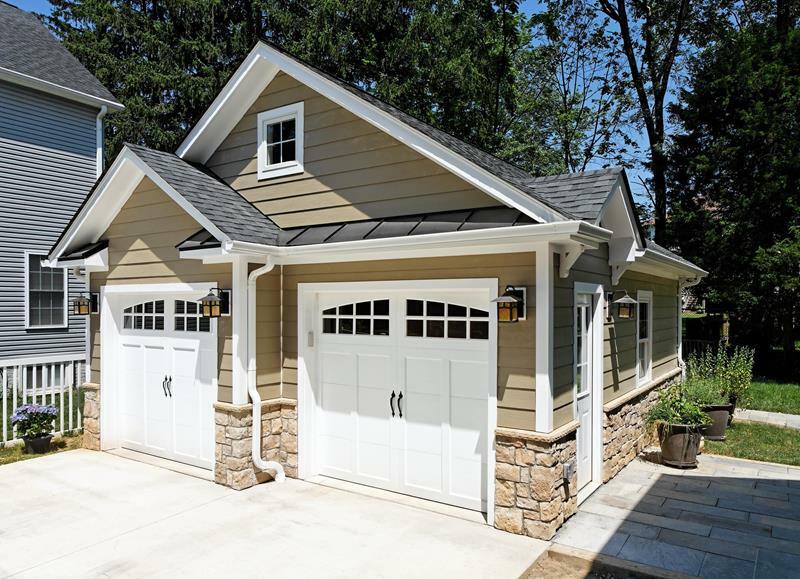 Simple and perfectly matching this space, these hardwood doors create a great contrast with the light siding of this garage. 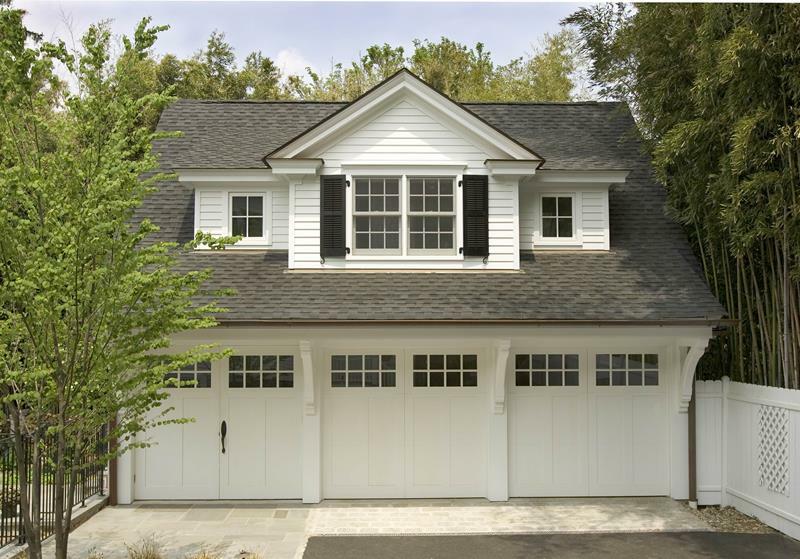 Hardwood garage doors work well to create contrasts with lighter colored garages. Look at how these doors bring a natural style to this space. 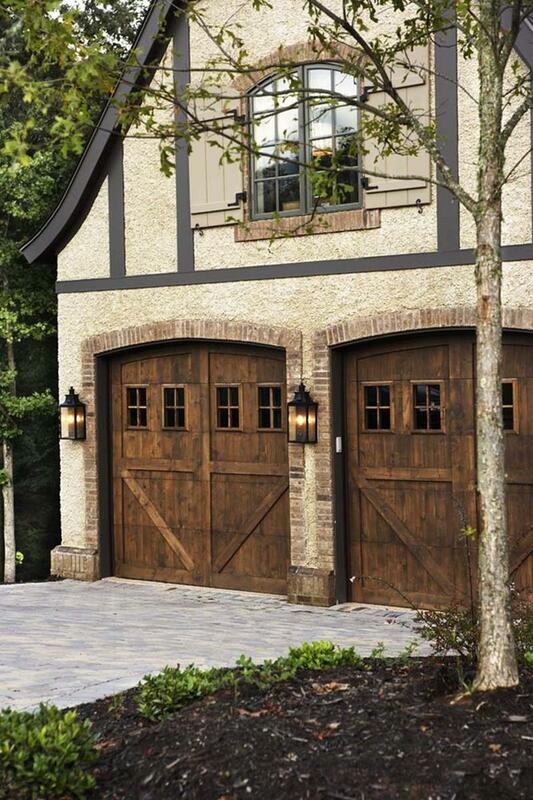 These doors are colored an olive green to give them a great natural look that blends with the hardwood garage and stone surroundings. There’s nothing wrong with making sure your garage looks great at night. Here, these hardwood doors and their stone surroundings are perfectly highlighted. Part of the wonder of this space is the welcoming entrance. The garage space, with plenty of windows in the doors, continues that welcoming spirit. Photo by Gabriel Builders Inc. This garage area is part of a large luxurious space and it blends in perfectly. With great hardwood doors and a wonderful brick setting, this is an elegant space. 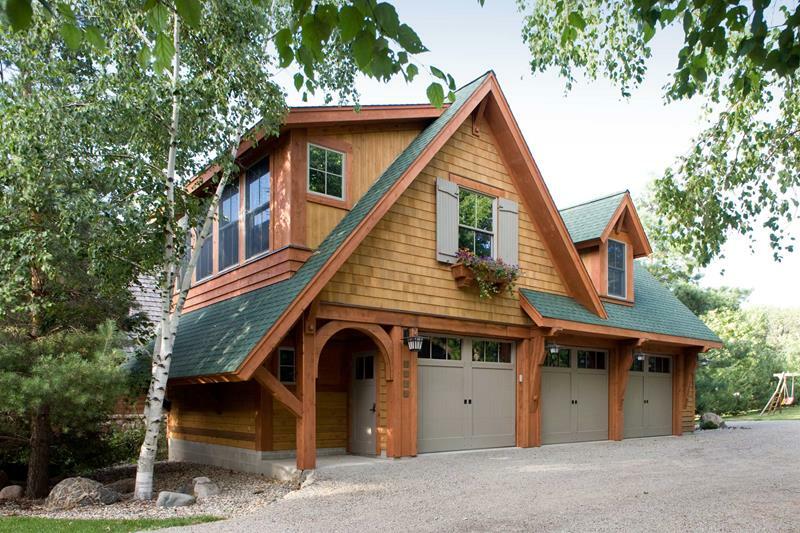 This separate garage space has a large and beautiful hardwood door that works well with the surroundings. 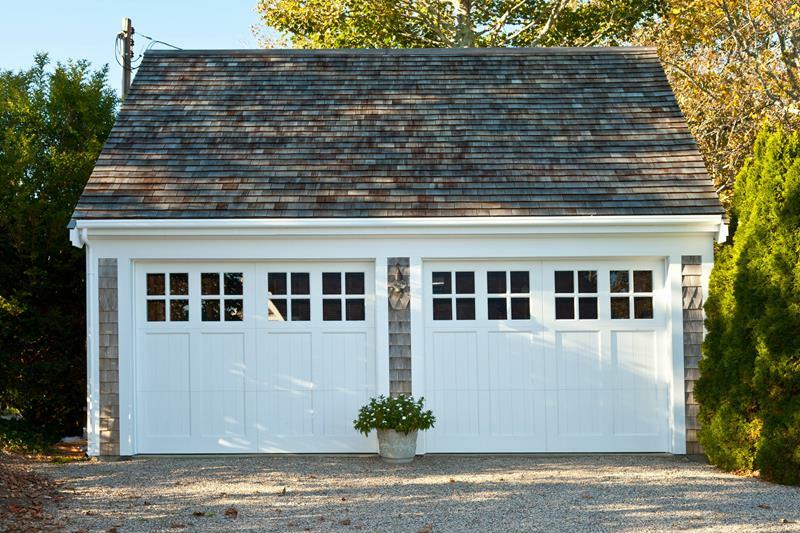 With a beautiful, but simple brick surrounding, this hardwood garage door has a minimal and stylish approach. 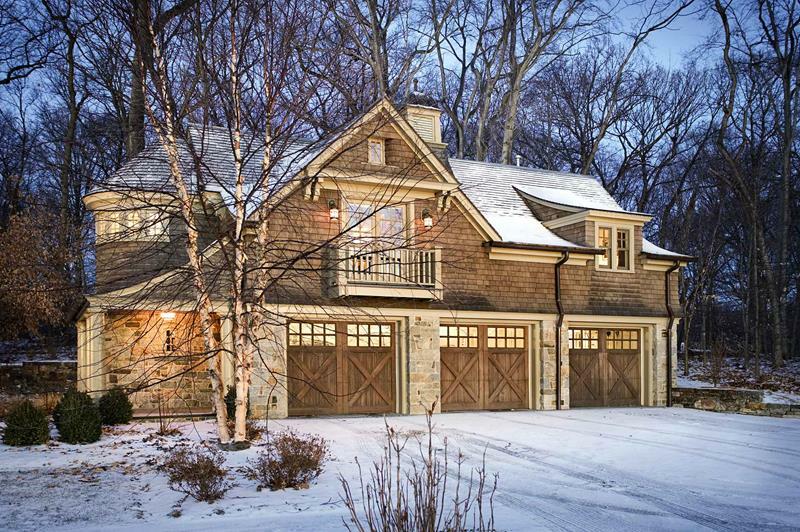 There is nothing complicated about these garage doors. 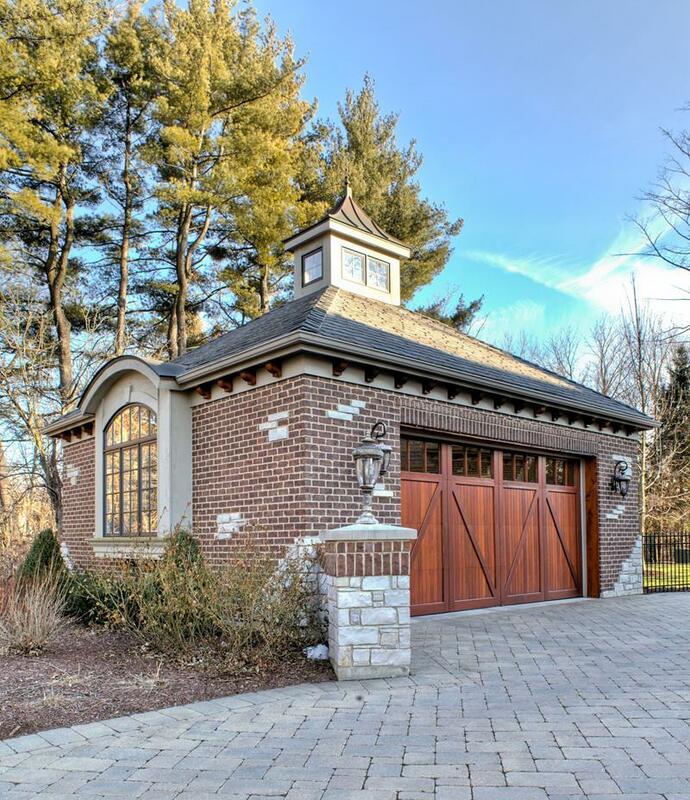 They take a traditional design and blend it perfectly with this detached garage space. When you have a beautiful hardwood structure like this, using earth tones for the doors and trim is a wonderful idea. 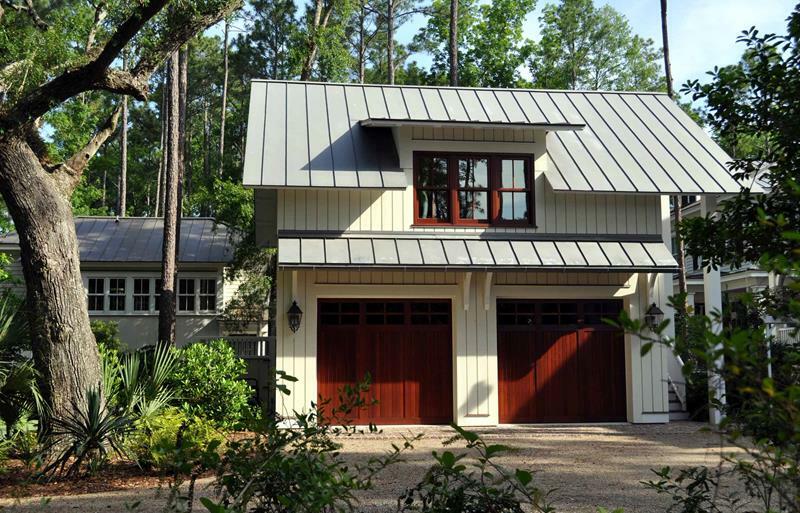 With a hardwood structure, sometimes creating contrasts means going darker. These doors do just that, with a darker brown working perfectly. 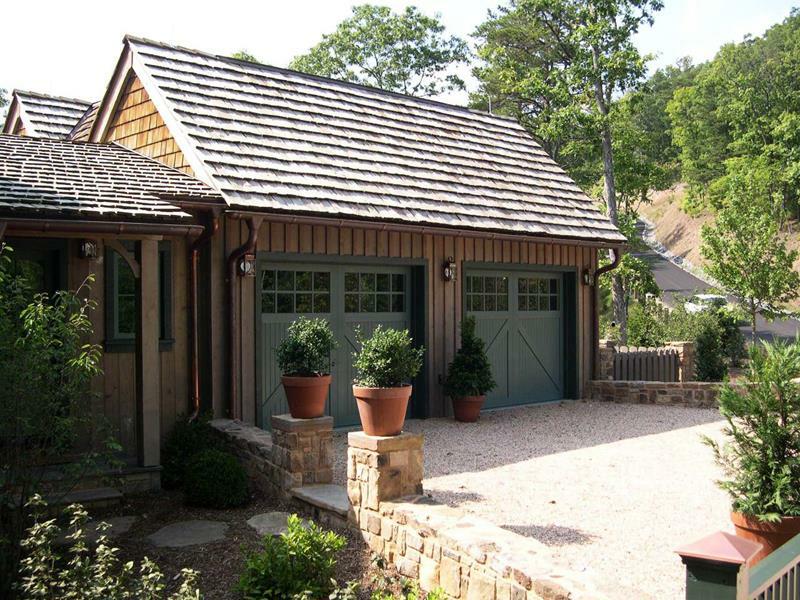 We love this garage space and how well it uses stone and hardwood. 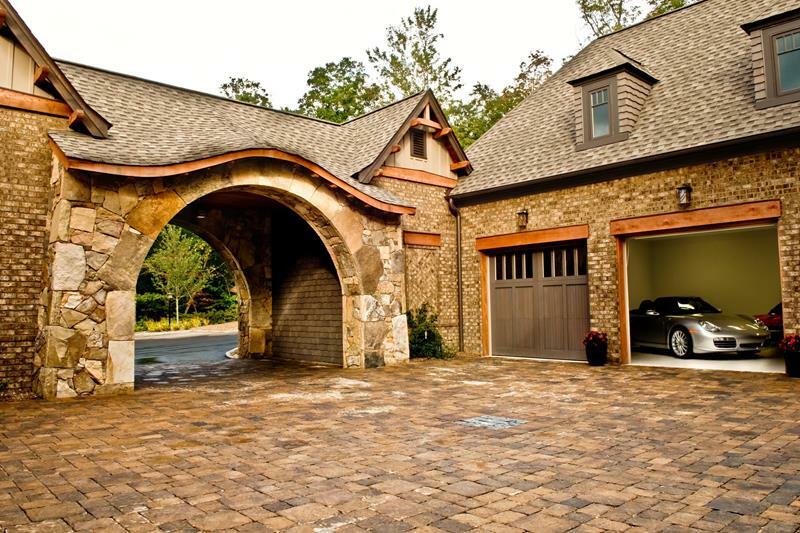 The arched garage door is a great look for this space. 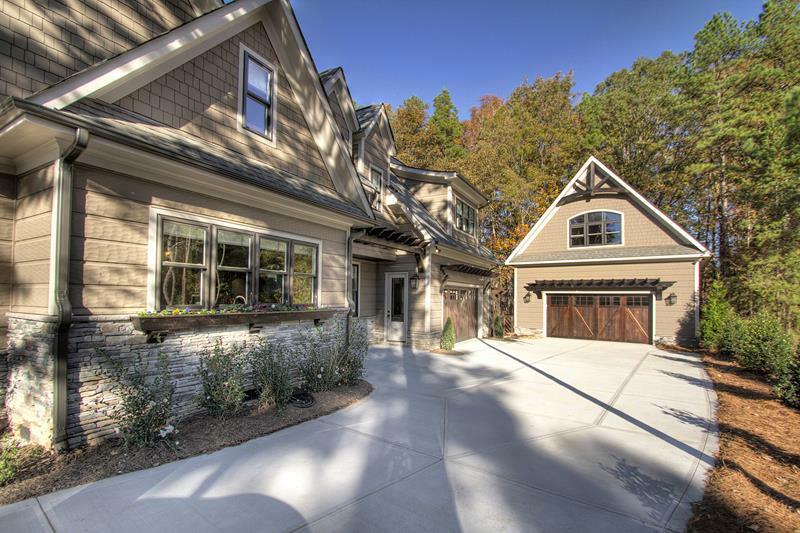 Three arched garage doors that work so well with the hardwood architecture. We live the European style, blend of brick, stone, and hardwood.